Work made impossible by the heat, and losses in productivity could see the wine industry facing challenging times, they said. SLIGHT INCREASES IN temperature across Mediterranean countries in Europe could have an extremely damaging effect on the continent’s wine industry, researchers have warned. 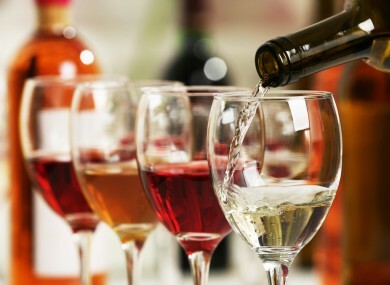 Global warming would affect different aspects of the wine making from workers unable to work in the summer months due to the heat, a decrease in the amount of grapes harvested and less wine produced as a result. The research team – funded by the EU to look at the complex repercussions that climate change will have on society – looked at the effects that high temperatures had on workers manually picking grapes in Cyprus. High temperatures during the summer months can often see workers operating in conditions of up to 36 degrees. These extremely hot conditions corresponded with what the researchers called “significant labour loss of up to 27%”. Furthermore, as temperatures went up there was a 15% decrease in the amount of time workers could actually carry out their duties, researchers said. “Workplace heat,” they said, “specifically in European agricultural workers, is accompanied by significant labour and productivity losses. With the wine industry comprising 0.2% of the world’s GDP, increased temperatures from global warming may negatively impact the industry and even potentially result in large losses worldwide. The researchers said that, as wine production is still largely dominated by manual labour, the effects of climate change on this industry would be “more prevalent”. The results of this study were published in the journal Temperature. You can read the full study here. Email “The wine industry in Europe could be in trouble due to global warming, researchers warn”. Feedback on “The wine industry in Europe could be in trouble due to global warming, researchers warn”.